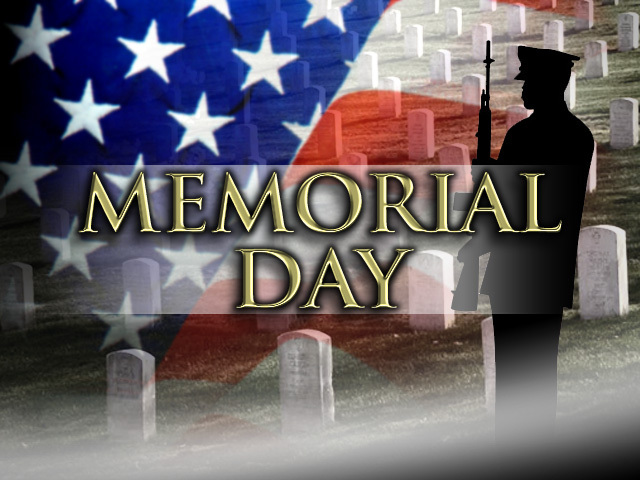 We thank those servicemen and women of the armed forces for giving their all, protecting us and our liberties here and all around the world. It didn't take long and we see the face of Israel's only true friend as a result - Stephen Harper, Prime Minister of Canada. G8 leaders, with the exception of Canada, had been prepared to push for pre-1967 borders as a precondition for Israel's negotiations with the Palestinians. Ten days later and the "Auschwitz" Borders are now the new "norm". The taboo is gone. Now it's just a matter of time before the "right of return" to Israel by the "Palestinian refugees" is acceptable - and Jerusalem will be on the chopping block before we know it. My initial reaction to the speech this afternoon was how strange. It was full of contradictions and grand ideas. Grand ideas are okay if they are somewhat realistic and hopefully jive with American policy and security - I'm not sure that they did. At the moment I do not have the time to do a proper job analyzing the speech, but hopefully within the next couple days I'll find a few moments. What I did notice - as did many others - that Obama called on Israel to return to 1967 borders with a contiguous "Palestinian" state as a neighbor. That's insane. Without Judea/Samaria (aka the West Bank) Israel is 9 miles wide at its narrowest point. That's damn scary. So is a "contiguous" Palestine. How exactly does that work when half that state is in Gaza along the Mediterranean coast and the other half is along the Jordan river? Will there be a road that connects the two? Doesn't that split Israel in half? A security nightmare. Oh yeah, he did mention that unity agreement between Hamas and the PA - but blew it off as seemingly no big deal. What the heck!? It's a terrorist organization. I thought that we don't deal with terrorists. Whatever, it's Israel. Jewish blood is cheap. And of course with all these Arab revolts going on across the Mid-East, it's a perfect time to start making changes in Israeli security. The Muslim Brotherhood isn't going to be excluded from Egypt's upcoming elections. The Brotherhood is involved in the Syrian protests... and we still don't know who the rebels are in Libya. But now is obviously the best time to make territorial compromises in the name of peace. There's more to say, but suffice it to say this is what comes to mind at the moment. I've leave you all with a link to my last response to President Obama's speech in Cairo a couple years ago: A Good Jew is a Dead Jew. President Obama is due to give a Middle East policy speech tomorrow. I'm sure he'll address the pro-democracy movements sweeping the region. As the law professor he was before becoming president, he may want to give them a few "do"s and "don't"s of how freedom works. * Do have majority rule in a democracy but don't forget that religious minorities are to be protected and respected. *Don't burn down Coptic churches and kill members of their community. * Muslims do believe that Mohammed was a prophet and had the "final and definite words of Allah". *If you want to have freedom of expression - don't - riot when you see your prophet poked fun at through newspaper cartoons. * Oh yes, we also know that Muslims don't supposedly believe in compulsion in religion and do understand the concept of freedom of religion. If so, then the Pew poll that found that the death penalty was appropriate for those who wished to convert out of Islam is a big DON'T in a freedom loving culture that is known to be found in the Middle East these days. Such minor details. I hope Obama mentions those sorts of things. However, such hopes aside, I rather expect him to bang on the "peace-talk" drum once again. Once again we must pressure Israel to bow to the wishes of American foreign policy and make concessions and sacrifices in the name of "peace". Never mind that there is now a unity deal between Hamas and the Palestinian Authority. Not that Hamas has renounced terrorism or violence against Jews - they haven't. And the Palestinian Authority continues to name streets and camps after their own "martyrs" and contributes monies to the families of those "martyrs". I'm still waiting to hear about Hamas and the PA's own concessions and sacrifices in the name of this elusive "peace". Ultimately, I expect President Obama's speech tomorrow night to be a bust. He will continue along the wrong road. He will pressure the wrong people, and will expect those who believe that minorities are to be abused and murdered to be more than just thugs stuck in the 7th century. It isn't going to happen. This should be a year full of blessing and peace for all her inhabitants. Today in Israel is Yom HaZikaron, Remembrance Day. A day where we remember all those who gave their lives in order to keep the Jewish State in existence and her citizens safe. 22,867 soldiers have been killed in the line of duty and another 3,971 civilians have been victims of terror. A siren is sounded and the entire State of Israel comes to a standstill in remembrance. Take a moment to visit One Family Fund - a great organization that helps the many terror victims of Israel. Make a donation in honor of those lost. 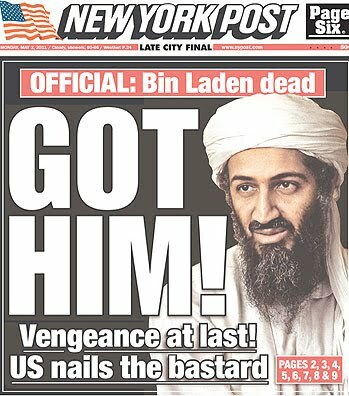 The United Nations is wondering if the United States did the right thing by killing Osama bin Ladin, master terrorist. Watch as Senator Orrin Hatch (R-Utah) tears into them as 'nicely' as he's able on live television.